(Newser) – Two forensic pathologists—one famous, as far as forensic pathologists go—have amassed more than 100 pages of notes since May, and the details they contain are in some cases macabre. 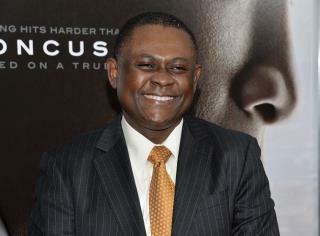 Susan Parson resigned her post with San Joaquin County last week; Dr. Bennet Omalu—known for his CTE-related discoveries regarding NFL players and portrayed by Will Smith in the 2015 film Concussion—followed suit on Tuesday. The cause, they say, relates to the behavior of Sheriff-Coroner Steve Moore, who Omalu alleged in an Aug. 22 memo "does whatever he feels like doing as the coroner, in total disregard of bioethics, standards of practice of medicine, and the generally accepted principles of medicine." Omalu claims Moore on several occasions asked him to change the manner of death from homicide to accident. sounds like this man is a party to many coverups inside the dept and uses his position to see they happen. Hmmmm. I wonder what Will Smith would have done?